Replacement glass for homes and businesses is available in a number of styles. You may not think about glass options until it is time to replace a broken or damaged piece of glass, but there are advantages to using different types of glass for different applications. Two of the most common options for replacement glass are laminated and insulated glass, but how do you know which is best for you? Laminated glass and insulated glass can both lower energy costs and reduce UV rays passing through to the interior of a building, and both types of glass can also be tinted and made in custom sizes to fit nearly any window or door, but each of the two types have their own unique features to consider when selecting the right glass for your home or business. Laminated glass is probably best known as being the “safety glass” that has been standard in automobile windshields for a number of years. There are real safety benefits to using laminated glass over other types of glass. 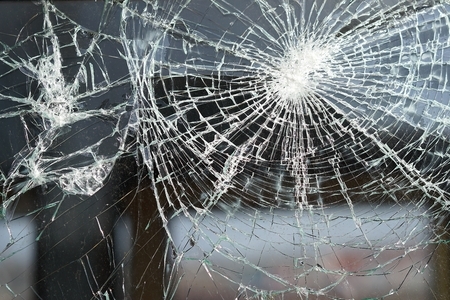 Laminated glass can still be chipped or cracked, but its design allows it to hold together when it is damaged rather than having shards of glass breaking away and falling, potentially causing injury. Regular glass is extremely dangerous when it breaks because of these razor-sharp shards. Not only does laminated glass offer improved safety, but it is also frequently required in commercial buildings for safety reasons. Laminated glass is actually two separate sheets of glass with a clear, plastic layer fused between the glass sheets. The plastic layer is invisible, but is what holds the glass pieces together if the glass is ever damaged. Insulated glass is similar to laminated glass in that it is also made of several layers of glass that are bonded together. Unlike laminated glass though, insulated glass is manufactured with spacers around the perimeter of the glass sheets while most of the space between the sheets is hollow. These hollow layers act as insulation, helping to minimize heat or cold transfer through the window or door and helping to improve energy efficiency in your home or business by allowing less of your air conditioned or heated air to leach out through the window. Affordable Glass & Mirror provides quality door and window glass solutions for commercial and residential customers throughout the greater Atlanta region. To get a quote on new glass for your building, call us today at 404-361-5151.